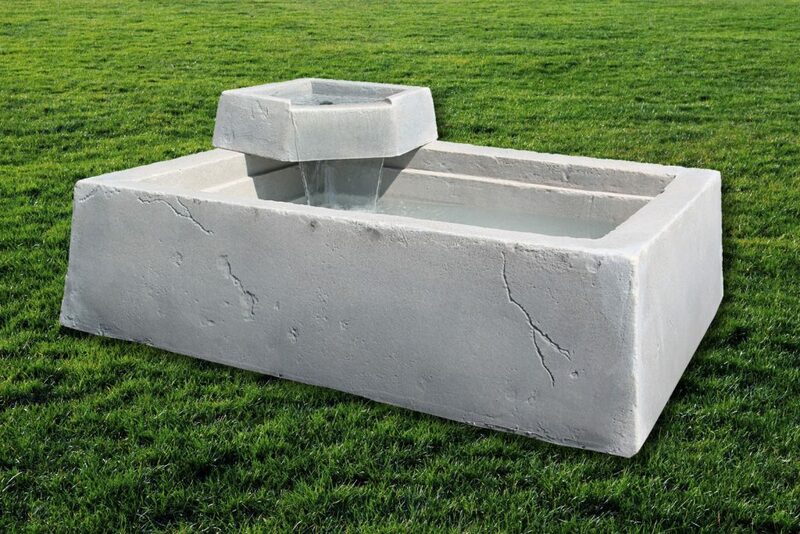 Model 210WF | EHS Sales Ltd.
Usage: Water basin – self contained water feature. Includes spillway (211), pump, fittings and basin. Description: Large rectangular box 16″ deep creating a pond size water feature with a spillway waterfall. Perfect for water lilies or water plants to create a patio water feature that will be the envy of your friends. No filters to clean. Relax and listen to the sound of smooth flowing water as it falls from the spillway into the pond.